Remember the Samsung Youm? This is the flexible OLED display launched by Samsung at CES 2013, that also spawned a prototype phone pictured at the end of the article. 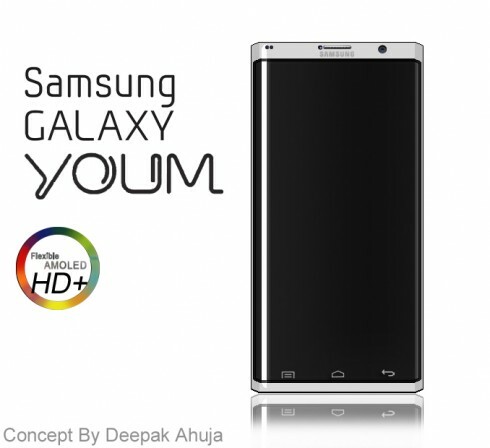 The device was named Samsung Galaxy Youm and now it gets rendered by Deepak Ahuja. 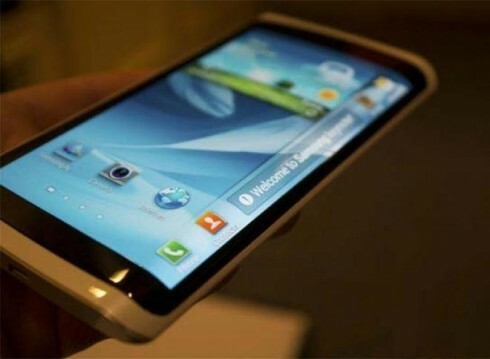 This is a flexible smartphone with Android 4.2.2 Jelly Bean on board, Samsung’s TouchWiz Nature UX on top and a 1.9 GHz quad core CPU. The display here is a 5.3 inch flexible AMOLED HD+ panel with a 1980 x 1280 pixel resolution. Other specs of the flexible Samsung phone include a 13 megapixel main camera with LED flash and a front 2 MP camera with BSI. We’ve got 16/32 GB of storage, 1 GB of RAM, a 2850 mAh battery and discretely integrated capacitive buttons. The design of this model reminds me of those pods where people in cryogenic sleep are stored. Are we ready for a flexible OLED phone?